History - GALERIE SUPPER is specialized in contemporary art. 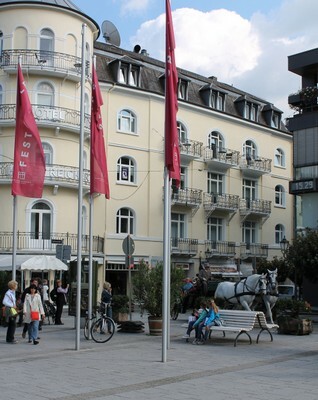 Founded in 2002 it opened in Baden-Baden in 2012 with its current profile. The gallery promotes young, emerging artists with an unique signature. It is the intention to correlate them with renowned artists. Their positions should complement and stimulate each other, whereas every artist keeps his own characteristics. 1. We do present artists, that consider and acquire all possibilities of representation. 2. We do present artists, that question and reflect the current state of our society in their work. The gallery is member of the regional association of galleries in Baden-Wuerttemberg e.V. and has an space of approximately 200 m². Up to six shows are held each year. In addition it is the gallery´s special concern to promote qualified young talents of the Kunstakademie Karlsruhe in an annual curated exhibition. To every one-artist-show a catalogue is being printed. Apart from gallery-exhibitions, artists´ discussions, public readings and cooperations underline the exhibition activity. GALERIE Supper is represented at international art fairs.